You will Watch G.I. Joe: A Real American Hero Season 2 Episode 1 online for free episodes with HQ / high quality. Stream cartoons G.I. 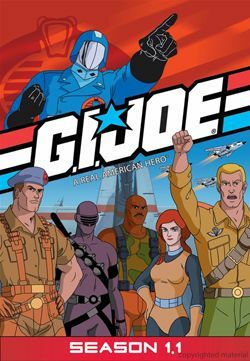 Joe: A Real American Hero Season 2 Episode 1 Arise, Serpentor, Arise! (Part 1) After having a recurring dream and displeased with Cobra Commander’s failed plans, Doctor Mindbender plans to obtain the DNA samples of history’s greatest leaders and conquerors in order to make the Cobra Emperor. The Joes embark on a mini-remedial recruit training and intercept and destroy a Cobra Night Raven, retrieving a Cobra message pod. The Joes find a letter detailing the Dreadnoks’ mission to break into tombs of history’s greatest leaders and conquerors. Meanwhile, the Dreadnoks gain Monkeywrench and Thrasher as new members.